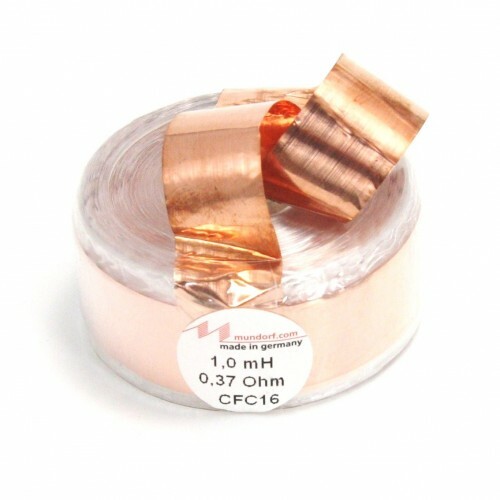 Mundorf CFC16 copper foil coils are wound layer by layer and are of particularly low-capacitive, even though their similarity to our foil wound capacitors would suggest otherwise. 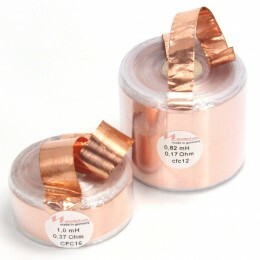 Their unique performance quality unites the tonal virtues of OFC Copper foil with the clarity and precision generally typical for all air core coils, alongside the authenticity of a tightly cemented reel which is practically microphonic-free. For High-End mid and high frequency applications, they are particularly distinguished by their 3D-like staging, their harmoniously-dynamic vitality and detailed performance. If you want truly distortion-free but multi-faceted and all-musical beauty, you may consider copper foil coils as first choice for your bass coils.